On March 5th, 2018 HB 5421 was introduced and referred to committee. On April 26th the bill was passed in the house and on May 5th it was passed in the Senate. On May 24th it was signed by the Governor making Connecticut the 12th state to enter into the compact along with its 7 electoral votes. On May 18, 2017, after vigorous debate on the House floor leadership of the house determined the bill lacked support declared the bill "passed temporily" which means the Bill has been tabled without a vote. The bill was successfully defeated for the 2017 Legislative session! On April 11, 2017, the bill received a favorable report and was filed to the House Floor for a calendar date. On March 24, 2017, the the Committee on Government Administration and Elections (GAE) approved the National Popular Vote bill (HB5434) and sent it to the House floor. On February 22, 2017, the Committee on Government Administration and Elections (GAE) held hearings on the National Popular Vote bill (audio recording of the hearing). Meanwhile, Governor Malloy and Lt. Gov. Wyman urged the legislature to pass the National Popular Vote bill. Over 90 pieces of public testimony were submitted to the committee. 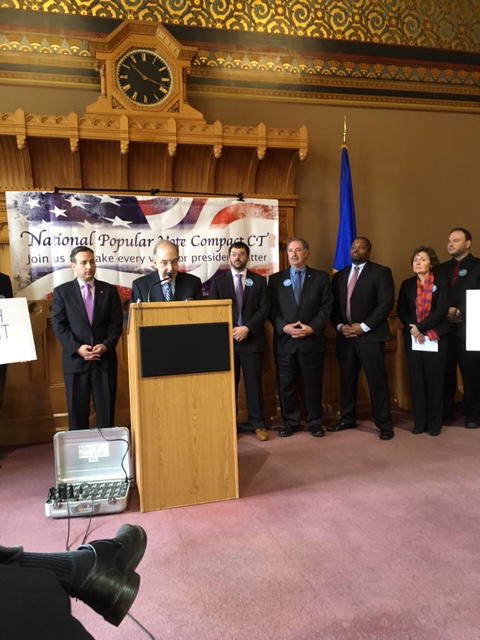 On March 7, 2014, the Connecticut Government Administration & Elections Committee approved the National Popular Vote bill (HB 5126; status of bill) by a 9–4 vote. Hartford Courant editorial "The Fairest Way To Elect A President"
Rep. Ed Jutila, 37th Dist. Co-Sponsors of Raised Bill 432 include (as of April 4, 2013), Rep. Andrew M. Fleischmann, Rep. Gregory Haddad, Rep. Roberta B. Willis, Rep. Peter A. Tercyak, Rep. Brandon L. McGee, Rep. Elizabeth B. Ritter, Rep. Joe Diminico, Rep. Brian H. Sear, Rep. Matthew Lesser, Rep. Kevin Ryan, Rep. Bob Godfrey, Rep. Geoff Luxenberg, Rep. John "Jack" F. Hennessy, Rep. Edwin Vargas, Rep. Toni E. Walker, Rep. Larry B. Butler, Rep. James Albis, Sen. Gary D. LeBeau, Sen. Andrew M. Maynard, Sen. Steve Cassano, Sen. Edward MeyerSen. Andres Ayala, and Sen. Eric D. Coleman. On April 2, 2011, the National Popular Vote bill (HB 6331 Status of bill) was approved by the Government, Administration, and Elections (GAE) Committee by a bipartisan 10–5 vote. The bill was introduced by Rep. Andrew Fleischmann. 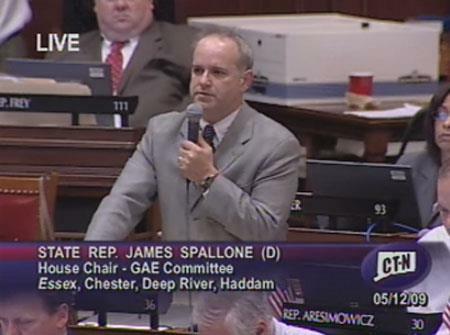 Then, voters asked a second question that emphasized that Connecticut's electoral votes would be awarded to the winner of the national popular vote in all 50 states, not Connecticut, vote. In this second question, 68% of Connecticut voters favored a national popular vote. On May 12, 2009, the Connecticut House of Representatives passed the National Popular Vote bill (HB 6437). The Connecticut House is the 28th state legislative chamber in the country to pass the National Popular Vote bill. 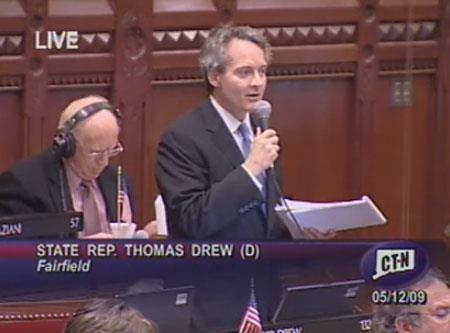 The bill now goes to the Connecticut Senate.